Some relationships never make it to the commitment stage. Like a summer crush, they are short-term, exploratory and experimental. Sure, they are fun but often lack the important elements of something more substantial and cohesive. Nonetheless, some flings mature into something new and exciting. They build on the simple, even the mundane, with a freshness that changes everything. This freshness – this commitment – is what sets Dilly Diner apart from just another sandwich shop or diner. “We are homemade top to bottom,” says Chef Trevor Tack. “We are a passion project from our heart to the heart of our customers. We are all in.”And it shows. From the stylish makeover of the space to the gourmet daily doughnuts, this commitment to an excellent customer experience shines through. 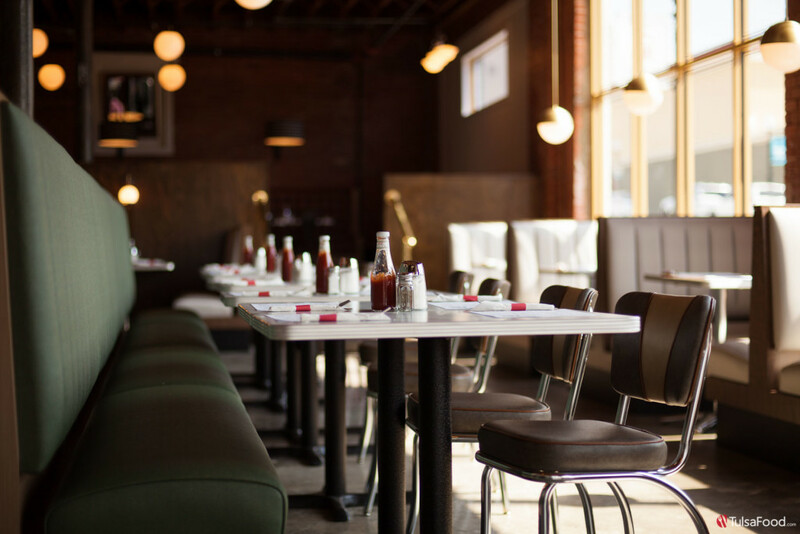 With a nod to mid-century elegance, the space is long on charm and short on pretension. 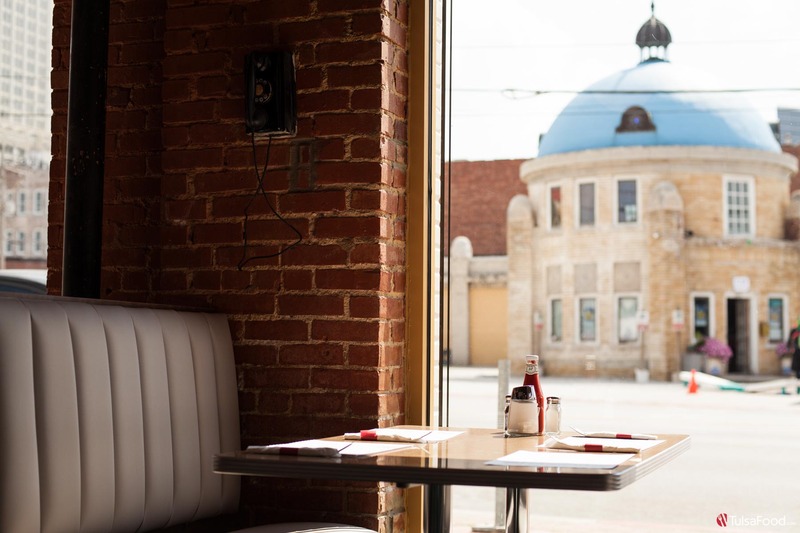 Located in the heart of the Blue Dome District, Dilly Diner is a place where a business lunch or a daily break-from-it-all is met with the same commitment to customer service. 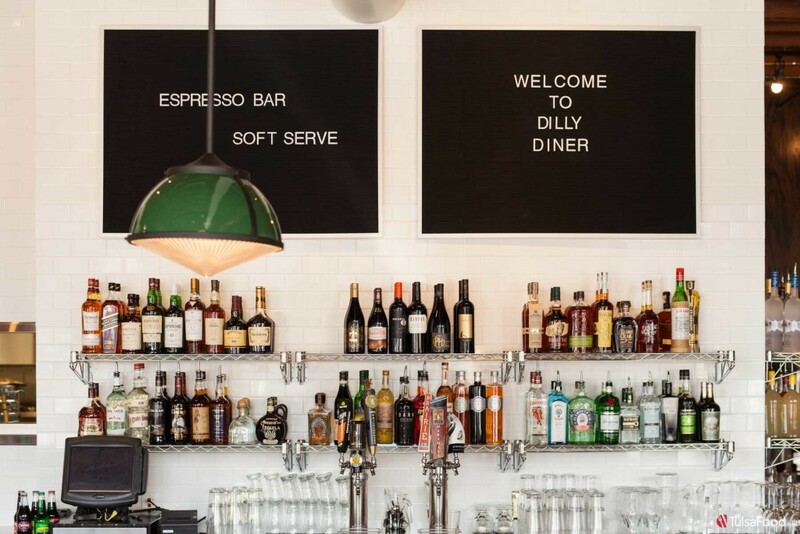 And with hours that accommodate the dinner hour – or the breakfast hour – Dilly Diner is a perfect choice to find adventure and comfort. This passion shows in the simplicity of their menu with a distinctive touch: I love how the menu is organized offering foods in one column that are “savory” and in another column, “sweet”. 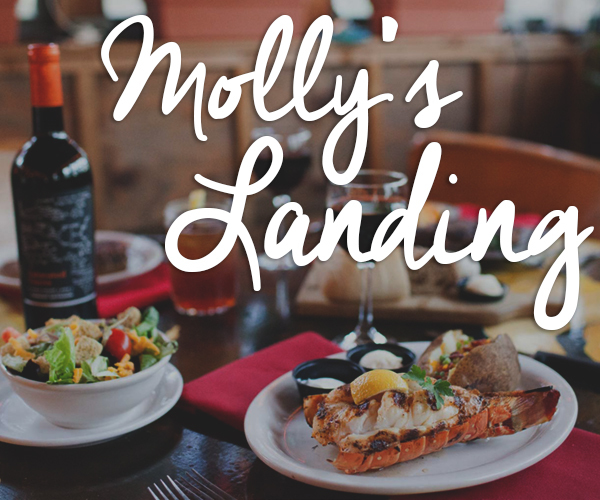 This is ideal for first-time diners to confidently choose dishes that reflect their likes without having to read through descriptive menu texts. 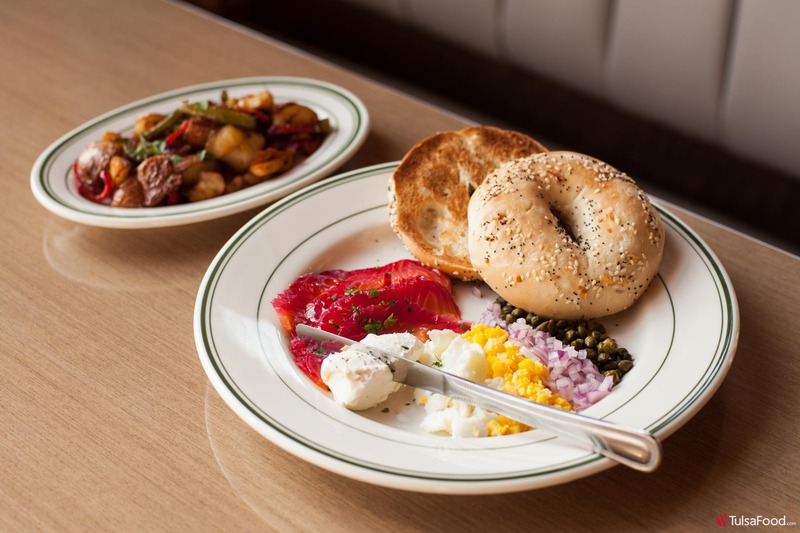 On my visit, I enjoyed the two egg breakfast and the bagel and salmon lox from the “savory” side of the menu and both were big, full plates of color, texture and flavor. 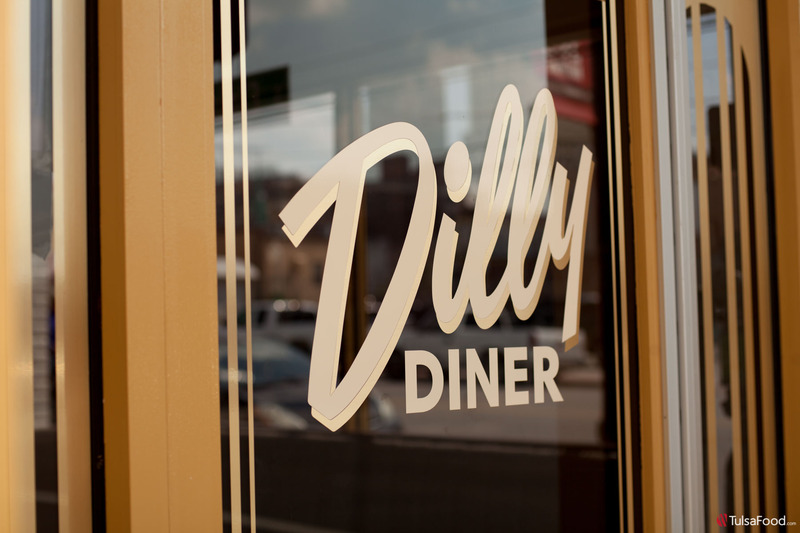 And with Dilly Diner’s late night-early morning hours, I expect I’ll return to pick up breakfast to enjoy at home. Other standout menu selections include the Dilly Burger with a fancy, special sauce (Yes, I asked. No, they wouldn’t divulge the secret.) The Summer Steak, ribeye with fresh tomatoes, basil and aged balsamic makes my top steaks in Tulsa list. The simple Reuben, made exciting served with sauerkraut on pumpernickel. Again, the sizes of the entrees really captured my attention. I experienced this commitment to guests upon entering the diner. I was enlivened with a sensory jolt of fresh-baked bread with the visual artistry of Executive Pastry Chef David Robuck’s “daily doughnuts”. 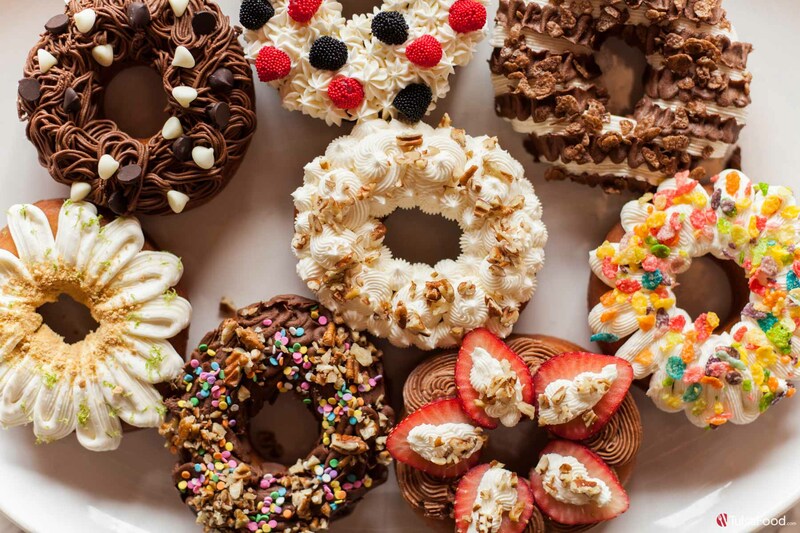 Here, the commitment to a first-rate guest experience shows in Chef Robuck’s choice to offer decorated doughnuts daily, a first for Tulsa diners. “Who doesn’t like a doughnut? It makes any day better,” says Robuck. 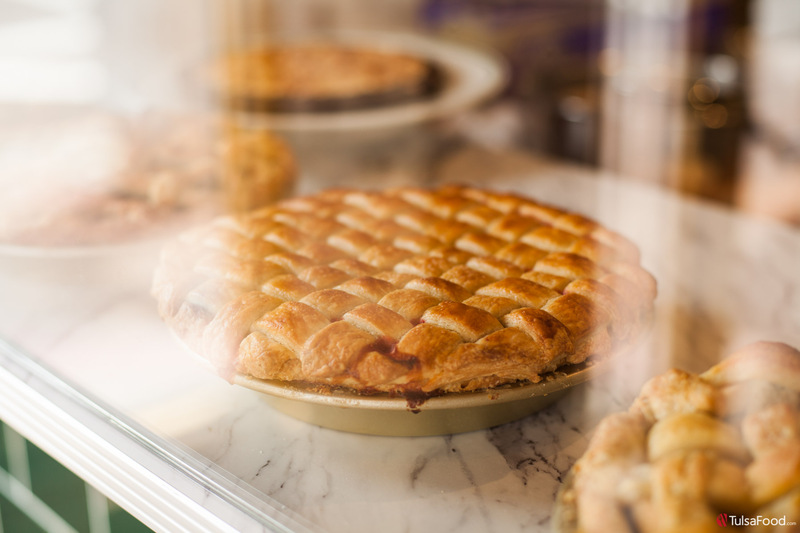 Additionally, the bakery offers pies with a distinctive touch: a commitment to honest baking methods. Instead of the usual 3 -2-1 pie crust, Chef Robuck uses Pate’ Brisee method. The result: incredibly flaky pie crusts that would impress even my pie-champion grandmother. Commitment takes the diner even further with a bar menu that rivals any I’ve seen. Here, the passion of Corporate Beverage Manager Tony Collins is evident. 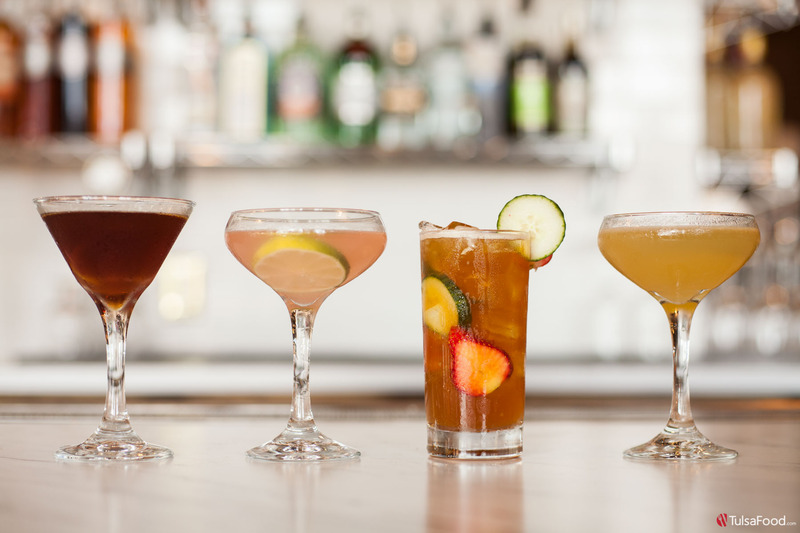 On my visit, I swooned for Pimm’s Cup and flirted with the Pendennis Club. It’s gin, lime, apricot and peach liqueurs mixed with Peychaud’s refreshed and soothed on a sultry Tulsa afternoon. Royal Bermuda Yacht Club, with rum, Triple sec, Velvet falernum and lime hinted at a musky heritage drink from the boys’ club of yesteryear. Remember the Maine also dazzled me, making it hard to choose only one. If I have to make a choice, I’ll commit to Pimm’s Cup both for it’s slightly sweetness and it’s lovely coloring with lime and strawberry fruit garnish. One especially tempting detail: the price point of these beverages are perhaps the best in town. Now that’s the way to win my heart. 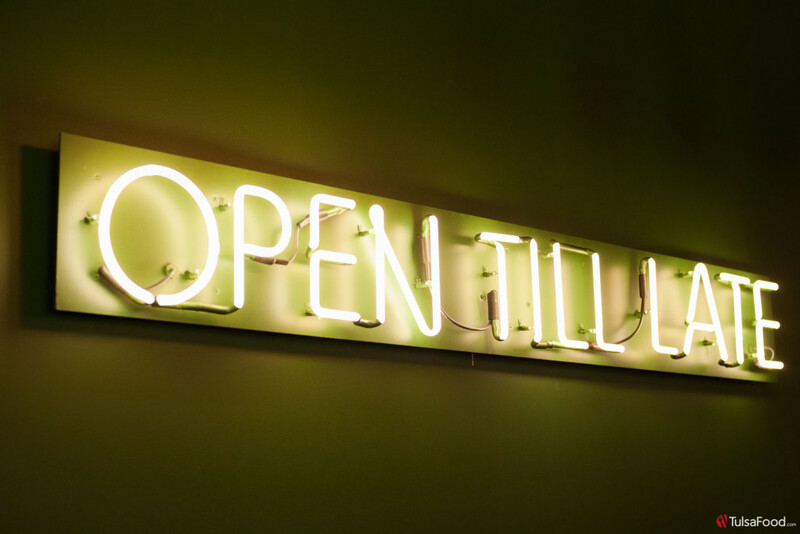 Yet, the drink menu extends to include Topeca coffee and a variety of legacy sodas, milkshakes, beer on tap and a good selection of wine by the glass or bottle. Like any new romance, there is so much more to discover so come early, come late and come back. 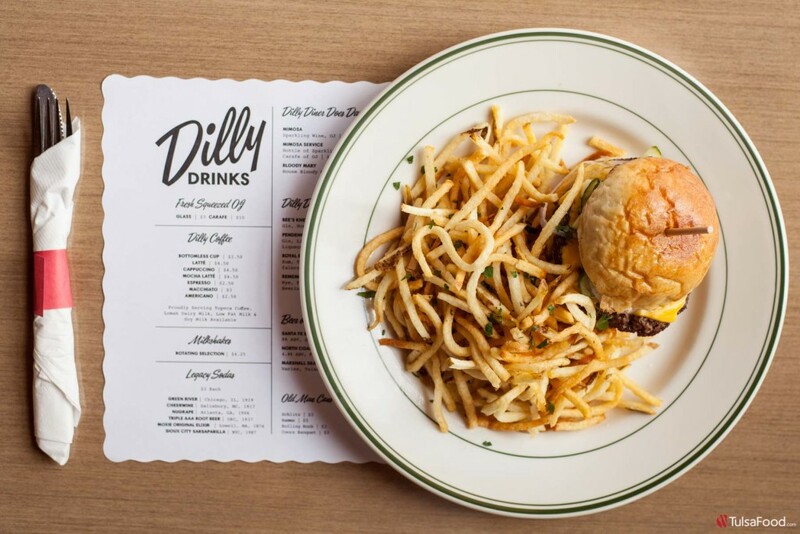 Dilly Diner is no summer fling, it is the real thing.